Symbolic trajectory evaluation is an industrial-strength formal hardware verification method, based on symbolic simulation, which has been highly successful in data-path verification, especially for microprocessor execution units. 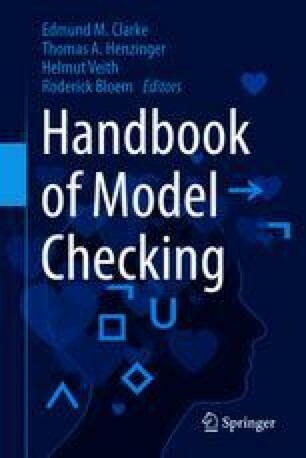 It is a ‘model-checking’ method in the basic sense that properties, expressed in a simple temporal logic, are verified by (symbolic) exploration of formal models of sequential circuits. Its defining characteristic is that it operates by symbolic simulation over abstractions of sets of states that only partially delineate the circuit states in the set. These abstract state sets are ordered in a lattice by information content, based on a three-valued domain for values on circuit nodes (true, false, and don’t know). The algorithm operates over families of these abstractions encoded by Boolean formulas, providing a flexible, specification-driven mechanism for partitioned data abstraction. We provide a basic introduction to symbolic trajectory evaluation and its extensions, and some details of how it is deployed in industrial practice. The aim is to get across the essence and value of the method in clear and accessible terms.